Looking for a stylish, roomy laptop bag for the back-to-school season but don’t want to break the bank? Well, Crystalyn Kae has teamed up with Ecouterre to give away their sophisticated Troubadour tote to one lucky reader and it could be you! If you win, you’ll be able to to have the bag (worth $190) in your choice of solids, velvets, or tweeds, so enter today! Looking for a stylish, roomy laptop bag for the back-to-school season but don't want to break the bank? Well, Crystalyn Kae has teamed up with Ecouterre to give away their sophisticated Troubadour tote to one lucky reader and it could be you! 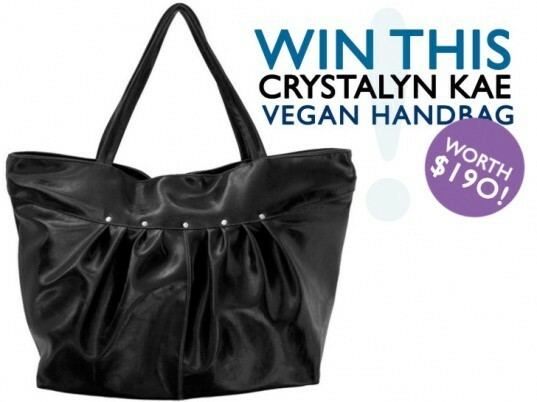 If you win, you'll be able to to have the bag (worth $190) in your choice of solids, velvets, or tweeds, so enter today!